First, on your Go Daddy home page, you'll want to select your name and then choose "Manage Domains." Next, you'll want to navigate to DNS and "Manage Zones." Next, in your Crelate settings area, you'll want to navigate to "email" and then view the 3 records that will need to be added to your Go Daddy account. Please note, these records need to first be enabled by a Crelate support representative. 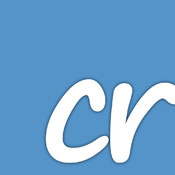 Please reach out to us at support@crelate.com for assistance. The CNAME record can be created as a new record. The DKIM ID can be created as a DKIM or TXT record dependent upon your DNS configuration settings. In Go Daddy, scrolling down to the bottom of the page, you'll see the "Add" option below. That will allow you to choose your "Type." The "Host" in Go Daddy will be refleced as the "Name" that you see in Crelate. The "Value" will be similarly titled "Value" in the email settings in Crelate. You may copy the text over from Crelate to the appropriate field in Go Daddy. Please make sure to save your changes when complete.